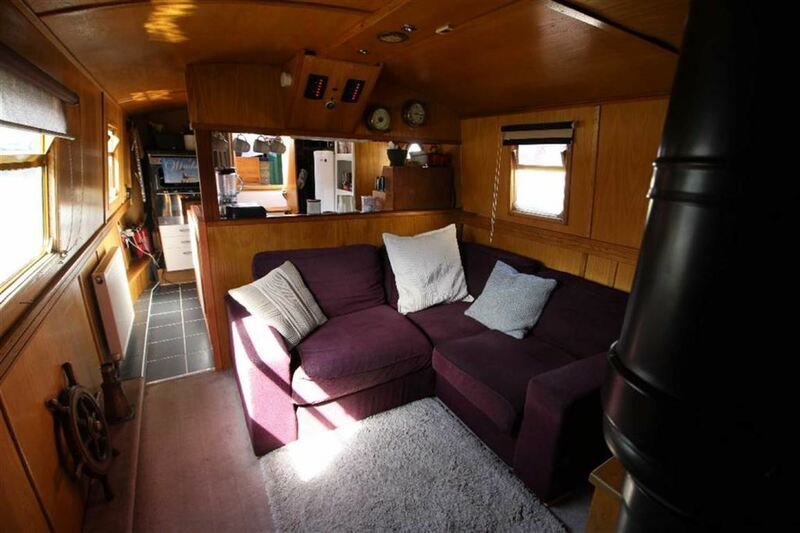 4 Burner gas hob, stainless steel sink, fridge/freezer, dishwasher, washing machine, wood Worktop, storage, steps to door leading to cockpit. 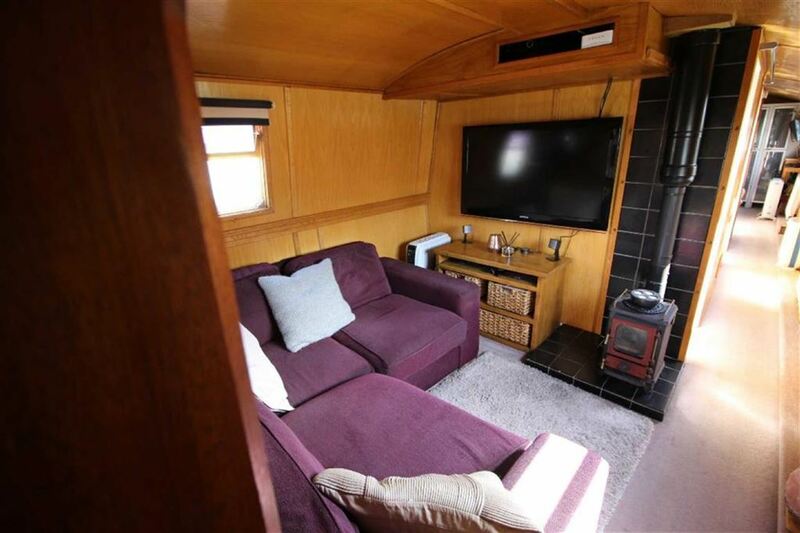 Wood Burning stove with tiled hearth, radiator and windows with blinds. 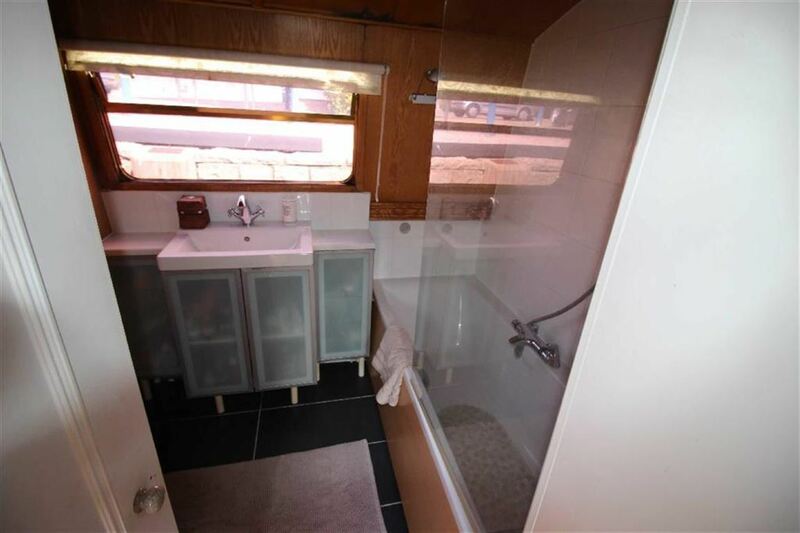 Bath with shower, sink unit with storage, toilet, window with blind, mirror and radiator. 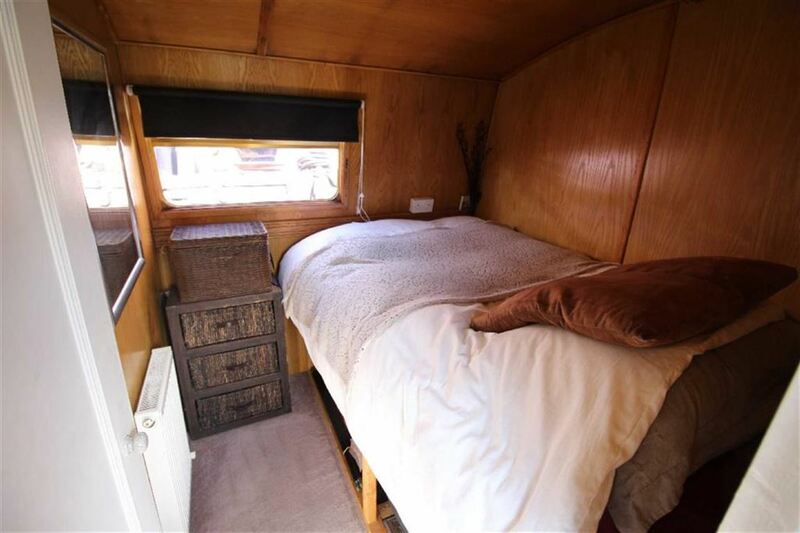 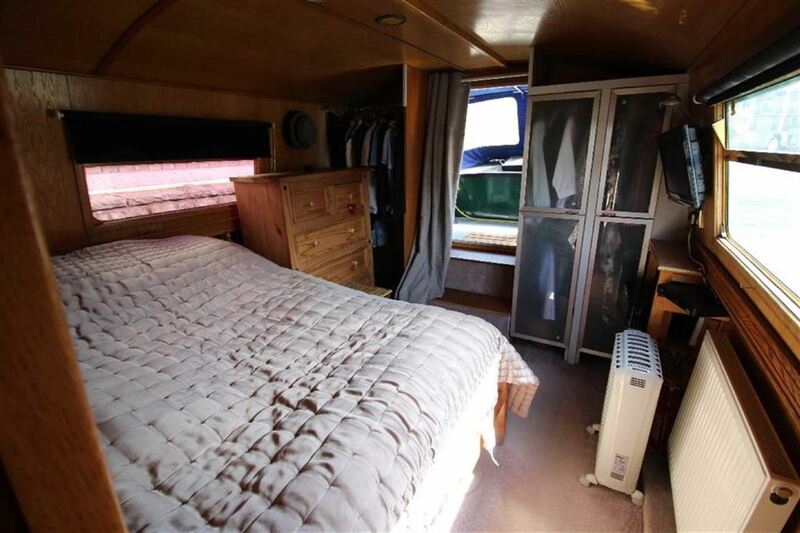 Spacious room, double bed, windows with blinds, hanging space, radiator, door to forward deck area.